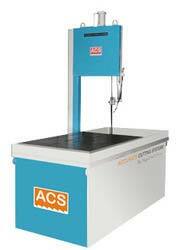 We offer high quality Special Purpose band saw Cutting Machines, that find application in diverse industries. Made from quality steel, our range of machines are long lasting and efficient performers. Designed for convenient operation, these machines are corrosion resistant and easy to maintain. Available in various specifications, our range of special purpose machines can be modified as per client's application based requirements.